“Rain, rain, go away. Come again some other day”, golfers know how annoying it is to give up a day of playing a good round just because the weather is not working with your schedule. However, just because it’s raining does not mean you have to give up one of your most enjoyable activities. So, here are some tips to play your favorite sport in a more comfortable way during rainy days. It is important for a golfer who likes to play in any weather to have some waterproof clothes. In case you do not have any of this type of clothing, purchasing some is the first step. Wearing waterproof clothing will make you feel good during the game as you will not be irritated, getting wet, and you will not lose your concentration on the game. As important as waterproof clothing is to have, nothing can be more important than waterproof shoes. No one deserves to walk 18 holes with shoes full of water, right? Besides being uncomfortable, walking with wet shoes can cause fungus on your feet. This fungus can develop by keeping your foot in a closed-off, water-filled shoe. There are many options for buying waterproof shoes, and if you find a pair that you like that isn’t waterproof, manufacturers have developed a spray that can transform those normal tennis shoes into waterproof rain barriers. The third accessory that is important to possess on the course is rain gloves. These gloves will help you hold your club grip firmly as normal gloves that get wet during the rain will make the grip slippery. This may cause the club to slip from your hand, resulting in bad contact with the ball or even a mishit, or even worse, throwing your club in the air and leaving a nine iron mark on your buddy’s head. Phil Mickelson is one PGA tour player who uses rain gloves and during an interview in 2012, which was when he started wearing those gloves, he was asked about the performance of the gloves and he replied: “This has been a monumental thing for me. And this has helped me play in bad weather exponentially better.” In truth, these gloves will help you when the grips become slippery because you will not need to hold the grip so tight for fear of slipping since these gloves have a water-resistant lining. When a golfer tightens the grip too much, it will prevent him or her from having a free swing, which may lead him or her to not have a good shot. As important as being dry is, it is also important to keep your clubs dry. 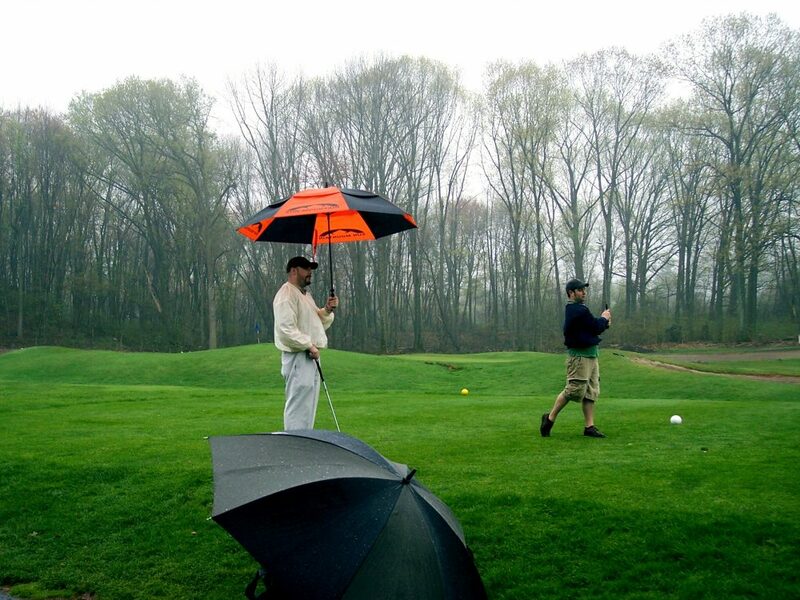 Doing this will help you play more comfortably during the rain. Always have a rain hood and put it on your bag. This will make your life much easier as you won’t have to constantly dry your clubs prior to each shot. There are several varieties of rain hood brands that will provide protection against rain, keeping both your bag and your dry clubs. 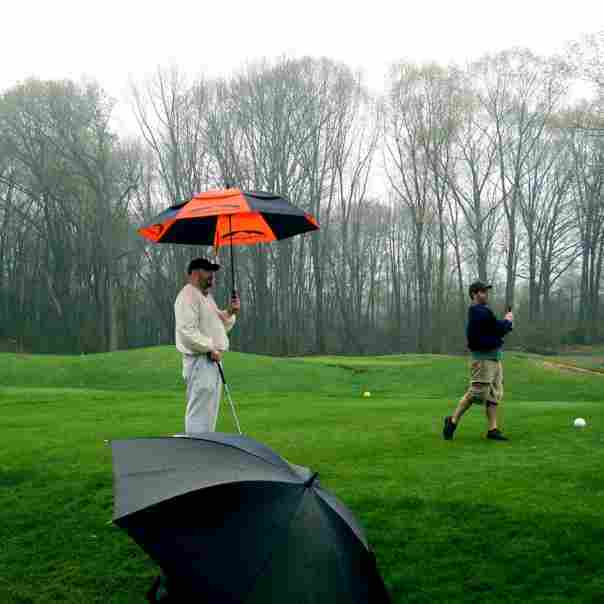 Additionally, keeping your clubs dry will prevent them from getting rusty. This is why it is important that, after your round during the rain, when you get home, you take the clubs out of the bag and make sure they are dry. 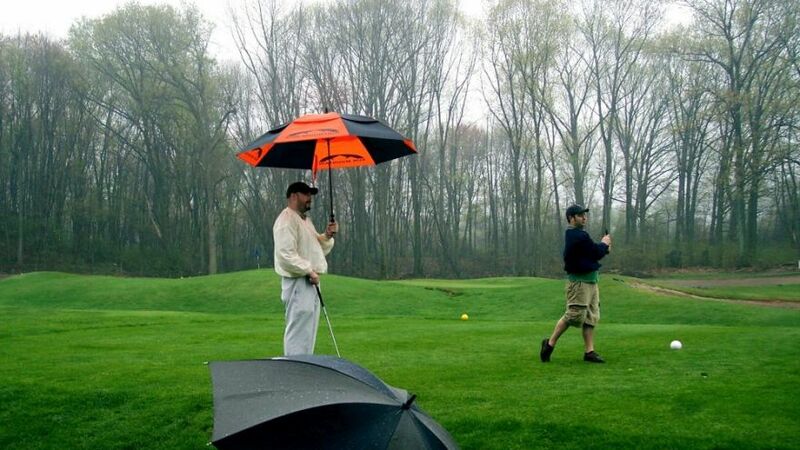 If they are not dry, use a towel and dry your clubs and bag. As I have said in other articles, be sure to wait for your bag to dry before putting the clubs back into the bag. When storing your clubs, remember to keep them in a less-humid area of your home. Typically, the garage is usually very humid – so this should be the last place they are stored. I also highly advise never leaving your golf clubs inside the trunk of a car as this is typically a humid location. Having an umbrella will protect you from wind and rain; however, sometimes, you might forget. In the event that you do not have an umbrella, make sure you at least have a hat as that will help keep you warm and also keep water out of your eyes. When the ball and grass are wet, the grooves of your irons will also be filled with water. 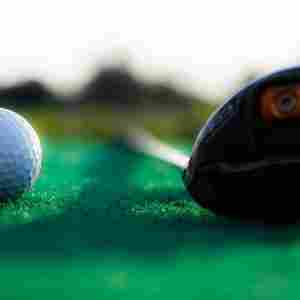 As a result, the golf ball will not have the backspin it usually has when it is not raining. Be aware that in any way, you will not have the same distance as normal simply because of the weather conditions – mainly, your ball will not have the same roll on wet grass as it does on dry. It’s also obvious that thousands of raindrops pounding the ball during flight will most certainly make a huge difference in your ball flight. This downward force will most certainly make the ball travel less. Another big issue is when the golf ball picks up mud. This typically happens when it lands on the wet grass. Now, mud will cause the ball to curve when it is on the side of the ball. In other words, your ball will curve in the direction that the mud is on – if the is mud on the left side of your ball it will curve left. However, I would like to say that a few new studies say now that it’s the opposite when there is a small amount of mud; however, a good number of shots will still curve to the aforementioned side. Some people have argued that mud on top of the ball makes it spin even more! The rain will cause a golfer to have fat shots when the grass is wet. So, try to avoid hitting fat shots by gripping down on the club. Keep holding the pressure at the same amount that you feel appropriate to help you promote solid contact. Putting, Bunkers, and Good Contact! Another part of your golf game that will change in the rain is putting. Putting in the rain will require a little bit of patience. 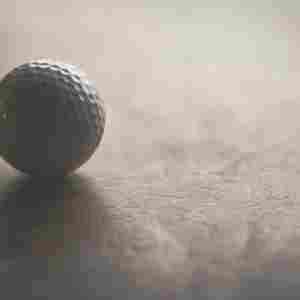 Reason being, because of the rain, the dimples of your ball will fill with water and you will not be able to make clean contact with the ball. Additionally, your ball will slip instead than roll, as usual. 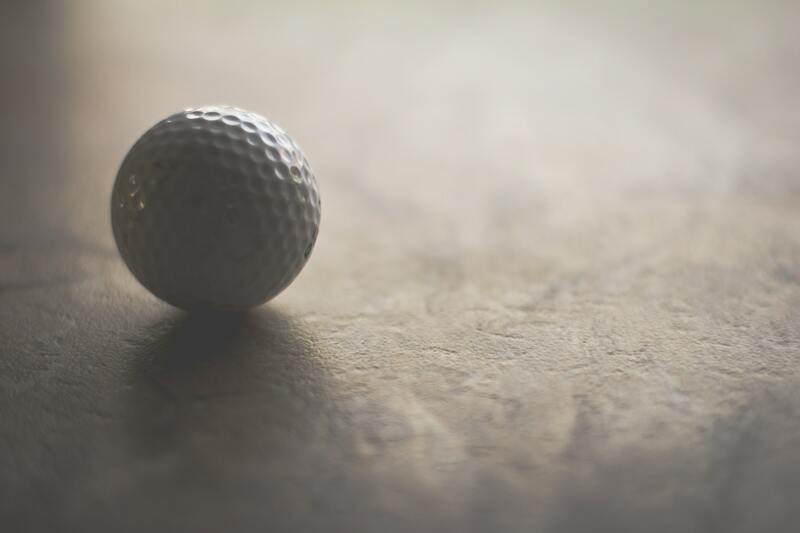 To help you to have a smoother roll in the rain, it’s important to keep your golf ball as dry as you can. Try to use your ball marker to line up your putt instead of using the ball. When you have finished lining up the putt, use a dry towel to dry your ball and only when the ball is ready, place it down at the same spot as the ball marker was placed and putt the ball into the hole. It’s also imperative to be approach hitting the golf balls from bunkers with caution. The logic being, when the sand is dry the ball will actually fly slower. In a rainy environment, the golf ball will actually fly a lot faster! So, if you find yourself in a bunker in the middle of the rain, watch your swing! If you hit the ball too hard, the weather conditions will forcibly cause the ball to fly over the green and into the bushes, trees, or even water! My tip is to use the energy you’ve saved when your ball was in the bunker and use it for when your ball is in the rough. Wet grass will prevent you from getting a good contact between the clubface and the ball, making this process slow. Due to this, make sure to properly hit the ball with a bit more strength than usual to ensure good contact with the ball. This is also so it does not cost you an extra stroke! Golf Balls Are Tropical By Nature! You should also note that temperature also influences your distance when driving or hitting the golf ball anywhere. Let’s back to the basics here of science! This happens simply because warm air is less dense than cold air, so your ball will go further when it is warmer out. In a metaphorical example, this is quite unlike humans, who do much less when they are hot. Keep all this in mind and playing in the rain, like the Scots, can be just as enjoyable as playing in the sun, just be sure to watch out for lightning!